SheSails has provided a library of sailing resources you can use to shore up your knowledge before getting started! Animatedknots.com is a great resource for learning knots. All knot tying videos are provided by them. The thing that sets us apart from power boaters is our ability to harness the wind to move a sailboat. 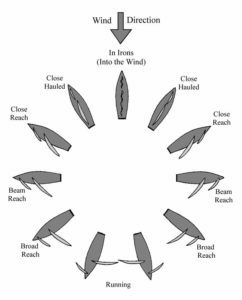 We do this by considering the direction of the wind and where we want the boat to go and then adjusting the direction of the boat and the angle of the sails to get us there in the most efficient manner possible. 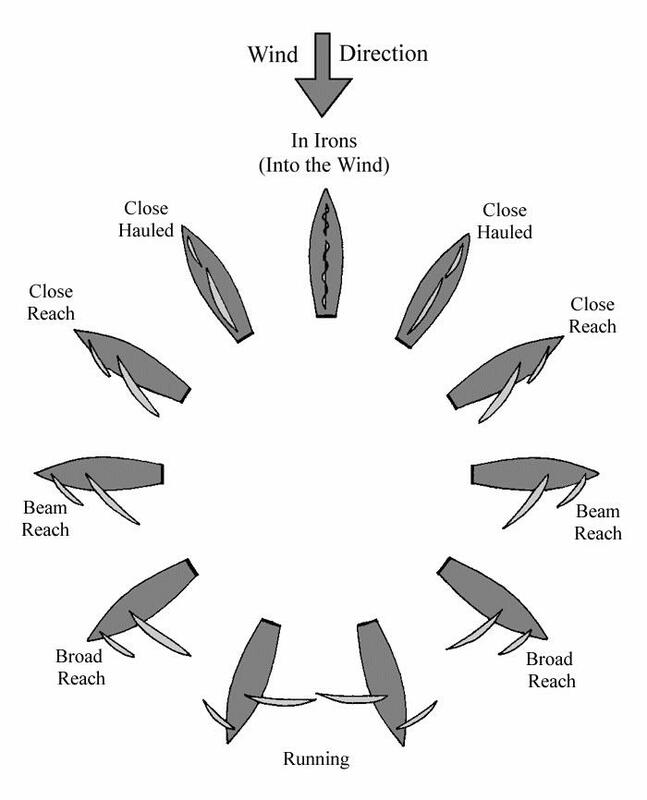 This chart illustrates the way we adjust the sails to do that. 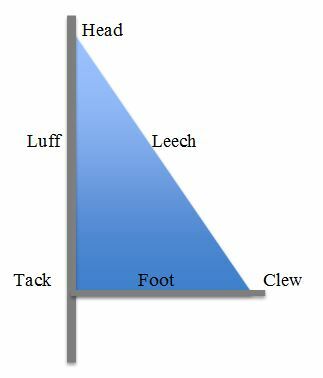 Triangular shaped sails have three sides and three corners. Each has a name and a function.